The first signs of new growth for 2019 are in abundance. There are loads of bulbs, which we planted last Autumn and also the year before, now sprouting and starting to show above the existing vegetation. We hope that they will provide a good display. 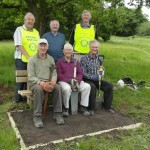 We are particularly looking forward to a nice show near the car park and around the new picnic bench that we installed near the pond last year. Elsewhere in the reserve look out for Scarlet Elf Cup fungus, which grows on dead wood, often associated with a rather pretty moss which contrasts with its bright red/orange colour. (not edible though). The Winter Warmer was really good this year. The weather was ideal and loads of folk came along and enjoyed themselves. Usual location in the Walled Garden, things to do , things to see , live music from Bel Canto Choir and of course our usual BBQ. 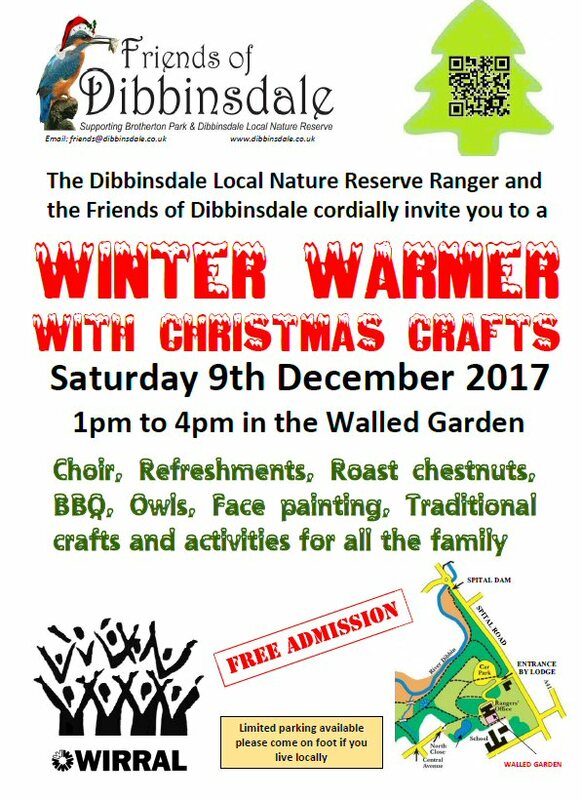 Put the date in your diary now and come along on the day. The impact of the new General Data Protection Regulations (GDPR) on 25th May 2018 will have an impact on how the Friends of Dibbinsdale manages its membership list and communications. A copy of our Privacy Statement is available on this site. Friends are encouraged to reply positively to today’s email from our Chairman. It is now mid-May and the wildflowers are really putting on a good show. The early flowers, wood anenome and lesser celandine, are now fading but the bluebells remain and the cow parsley is really doing well. Do give us a visit and enjoy them for yourself. Last week a Red Kite was spotted flying over Bodens Hey meadow… can we expect to see more? Well the sleet and snow came but so did our hardy Friends and visitors. Many thanks to you all, it was great to see you there. We hope you enjoyed yourselves and look forward to seeing you in the Reserve throughout the year and at any other events we run. 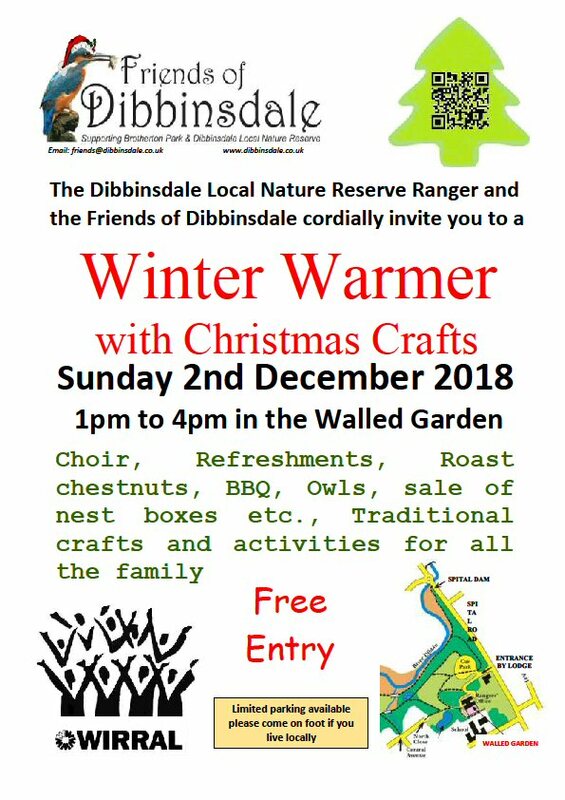 …..Do come along. All are welcome. We are pleased to have been awarded a Wirral South In Bloom plaque which comes with a grant to be used to help us maintain and improve our floral displays. This has been mostly used to buy seed for our wildflower meadow near the carpark, and the remainder will go towards some bulbs to give us some Spring colour next year. 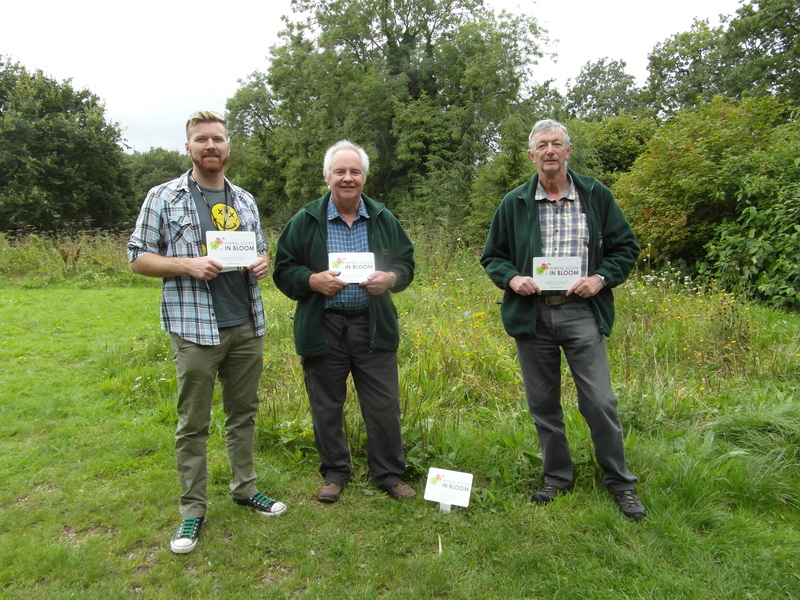 The photo shows Mike and Ron receiving the plaques from Fergus Adams who is the Constituency Manager (Wirral South). 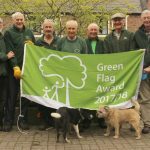 The Ranger and his team of regular volunteers are delighted to announce that we have once again achieved the standards required in the Park to win a prestigious Green Flag Award. 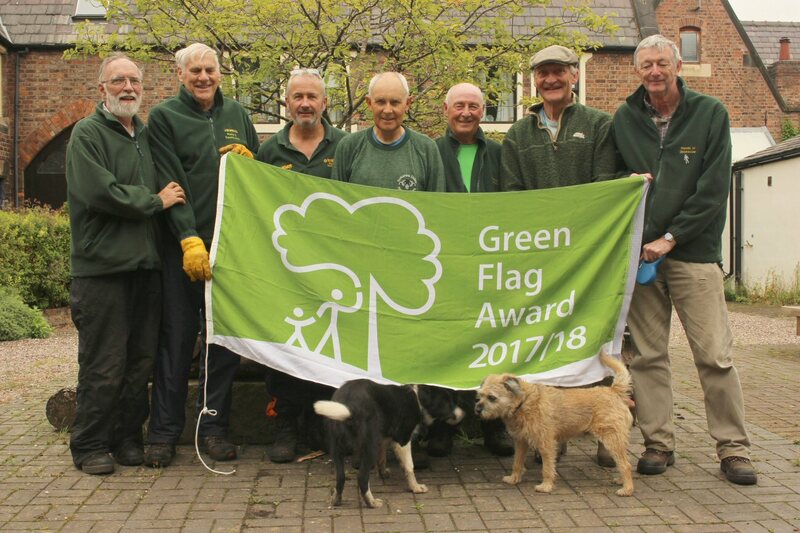 Here are the Team (with a couple of helpers…) with the new Green Flag. We Had an excellent Winter Warmer event at the beginning of December (2016). An estimated 500 visitors came along and we hope you all enjoyed it. Afternoon Tea with a Slice of Music held in June 2016 with musicians from the Liverpool Philharmonic Orchestra was a resounding success (excuse the pun). The the music was excellent and the weather brilliant and everybody who came along thoroughly enjoyed it. 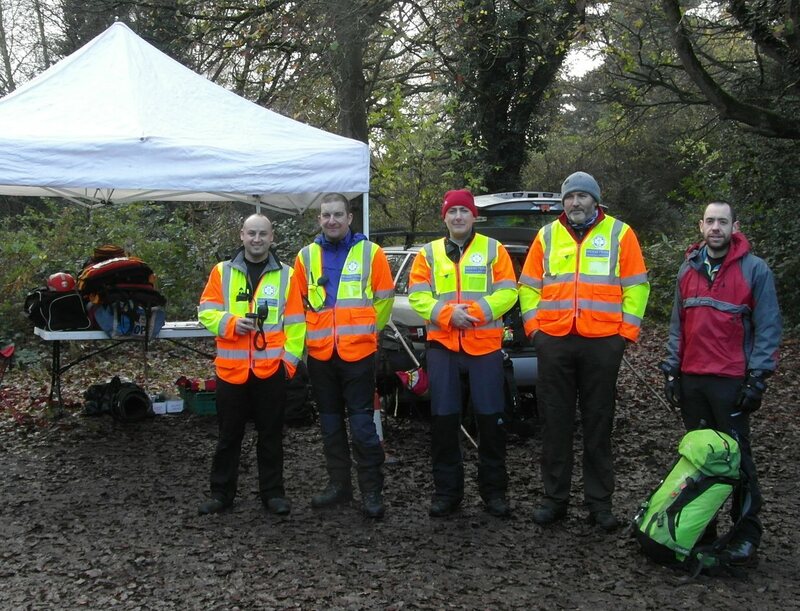 On Sunday 22nd Nov 2015 the ladies and gents of the newly formed Merseyside Search and Rescue Team held a training exercise in the reserve. Well done folks, glad to see you around, but lets hope we don’t have to call on your services! Kingfishers. Great news the kingfishers are back. After being absent for the past two years we are delighted to see at least two back along the river. There have been quite a few reliable sightings recently and one of our regular visitors has managed to get a decent photo. 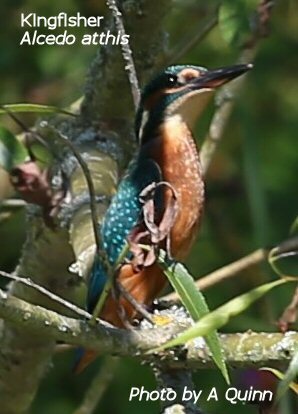 The kingfishers disappeared as a result of the very hard winter in 2012/13 during which the river actually froze over for most of its length. New Park Benches. 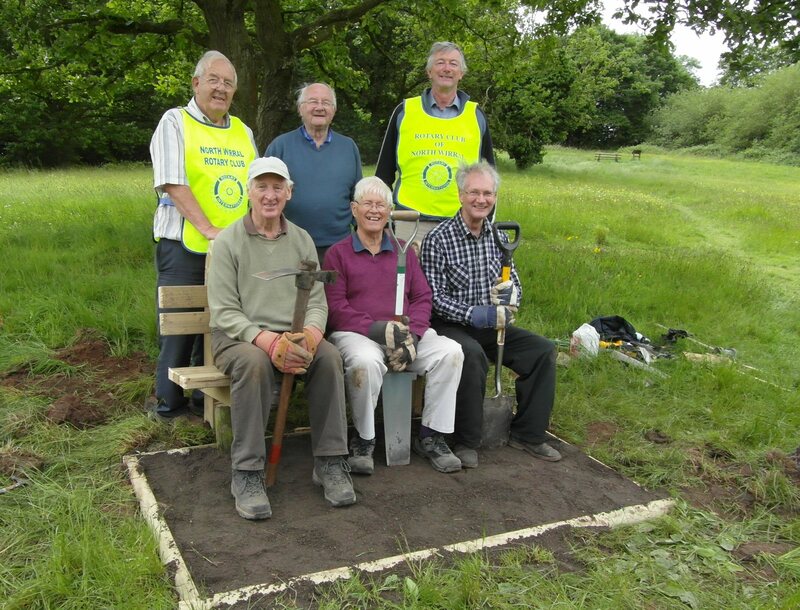 Two new benches have been installed, by the volunteer team, in the Spital Fields area of the park. Great for relaxing in the sun and enjoying the wonderful views or just sitting and getting your breath back after climbing the ‘Tunnel Steps’. 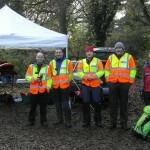 See the Volunteers Diary page for photos. Work on a second outdoor shelter, that the Rangers tractor will actually fit into, is now completed. The old leanto shed was demolished with amazing ease as all the bases of the supports were rotten. The new one has been built to last! Pond Work…The large fishing pond near the rangers office has been de-silted. This is to improve the nature of the pond and took about three days. Fishing during this work will not be advisable. The pond cleared relatively quickly and fishing now seems back to normal. There has been much less algal bloom this year – it looks like the work was very beneficial. Outdoor Theatre arrives in Dibbinsdale…..The Studio Players presented “Mary Queen of Scots” in the Walled Garden (behind the Visitor Centre) on Saturday 16th August . Many of the audience arrived early and brought picnics. The rain held off and an excellent evening was had by all. Bromborough and Spital on the Wirral. It broadly borders the course of the River Dibbin for almost two miles. 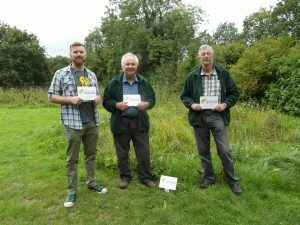 Many different wildlife habitats are represented in the Reserve including ancient woodland, willow carr, reed beds and wild flower meadows. It also includes areas associated with the Victorian estate such as managed parkland, a walled garden and a fishing pond. There is also a Visitor Centre located, as is the Rangers Office, in the buildings that were once the estate stables.